Happy Thanksgiving to all of you and your family. I am so very thankful for everyone of you and your encouragement. I found this lovely video on beanscot's YT channel. She used one of my favorite artist as background music. Mary Chapin Carpenter. She did such a did such a wonderful job I thought I would link it here. I hope you have a lot to be thankful for and that you have a blessed day with family and friends. Hey Linda, Fabulous image. I used the same one. LOL!! 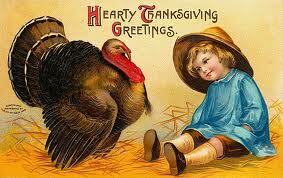 Have a lovely and blessed thanksgiving day with family and friends. Hugs!! Hi Linda. I hope you had a wonderful Thanksgiving.